The White Pine - Pinus strobus - is an excellent Christmas tree. 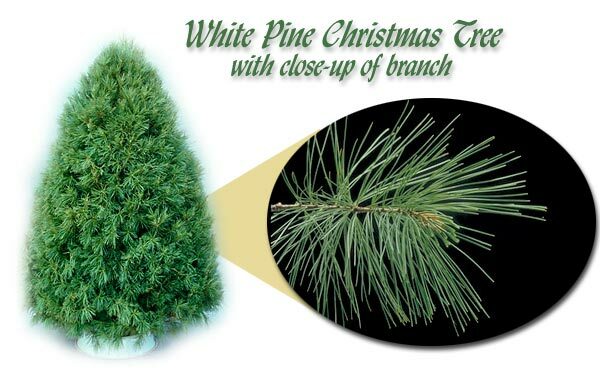 White Pines are native of and grown throughout the Appalachian Mountain range, where it is known as the Easter White Pine. The soft long needles have a bluegreen color with just a hint of white. This tree is a favorite of pine buyers. Moderately strong boughs weep gracefully when hung with ornaments. Years of meticulous shearing creates a beautiful, dense, conical shaped tree that stands straight and retains its needles throughout the Christmas season.